There is no stopping it. The Hobbit: The Desolation of Smaug is really on the go releasing a lot of posters and materials... it feels like Typhoon Yolanda where you can be literally blown away by the strong winds if you opt to stay outside the safety and comfort of your creaking homes. Just like the first movie, Desolation of Smaug has released a one-sheet tapestry banner poster that lays out the chronological order of events in the movie. This time, we start from the webby environment of Mirkwood and ended up in the golden cavern Smaug has hijacked from the Dwarves. 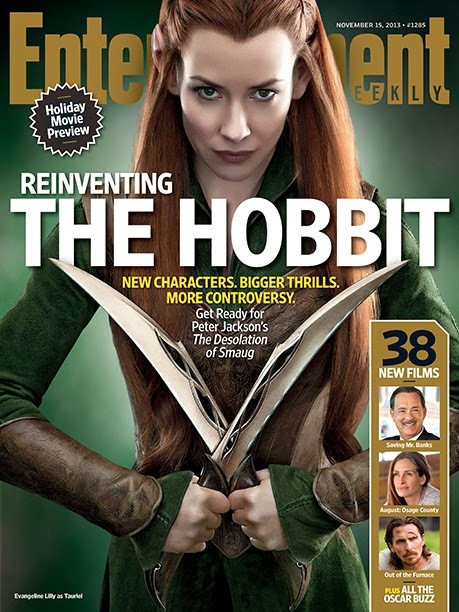 And also, you might be interested of this cover from the same magazine, featuring Evangeline Lilly as Tauriel, a love interest for Legolas. 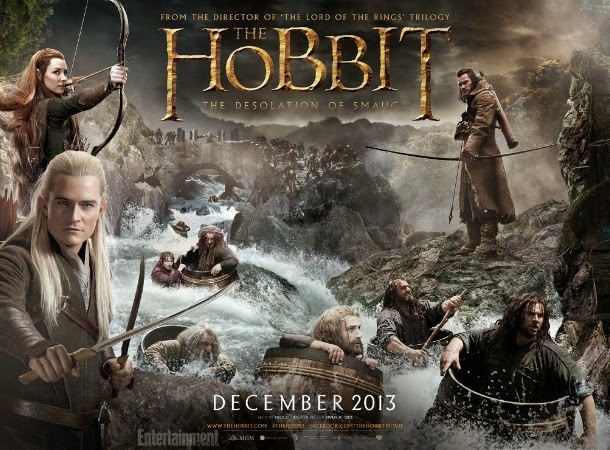 Let's all watch together The Hobbit: The Desolation of Smaug during its release day on December 13, 2013.